Learn about fundamental data types, logic, and how to create your own functions using the R language. Predict categorical and numeric responses via classification and regression, and discover the hidden structure of datasets with unsupervised learning. This course teaches the big ideas in machine learning like how to build and evaluate predictive models. 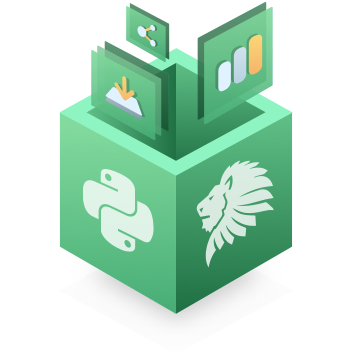 This course provides a comprehensive introduction to working with base graphics in R.
Strengthen your knowledge of the topics you learned in Intermediate R with a ton of new and fun exercises. In this course you will learn the details of linear classifiers like logistic regression and SVM. Learn how to draw conclusions about a population from a sample of data via a process known as statistical inference. In this course you'll learn to analyze and visualize network data with the igraph package. This course covers some advanced topics including strategies for handling large data sets and specialty plots. In this course, you'll learn about the concepts of random variables, distributions, and conditioning. Use Natural Language Processing on NIPS papers to uncover the trendiest topics in machine learning research. Use regression trees and random forests to find places where New York taxi drivers earn the most.